If anyone has an idea how to embed a YouTube video here, I'm all ears. Whad'ya know, it does it automatically. If anyone has an idea how to embed a YouTube video here, I'm all ears. Whad'ya know, it does it automatically. Anyway, interesting video from a fairly popular source. Great video. I think they first have to fire both their main designer and Chief Product Officer Juho Sarvikas. We all know about long list of Sarvikas' failures as CPO but here is another one. Nokia 8 was released in 4 colors: 2 blue ones (! ), copper, and steel. I think it's just crazy to release a flagship phone with no black or at least dark grey option. I've chosen steel one but almost didn't buy the phone because of this. And now another flagship, Nokia 9, comes only in Blue! Is that crazy or not? Lol, with all respect, I think colors are the least important part here. I like the tempered blue one, maybe someone else prefers it shiny - both blues are fairly dark shades that sort of replace black as contrast to the silver option. And the 9 makes sense considering it's a limited release. I'm sure it would've had more options had they not delayed it and did a proper launch, but I assume they had to pick one and dark blue is clearly Nokia's primary shade, plus it stands out a bit more. You can't sell a flagship phone without premium design and carefully chosen colors. Of course there are other more important factors but we have all wrote about them before. This obsession with blue tells me that HMD is also clueless about design. Like I said, I think they did fine on that. All their devices look pretty nice and have white and black options for certain models. Blue isn't even on all of them. Apple themselves had a very limited color range for a while, focusing mostly on white, black and exclusively silver for their laptops, among other things. 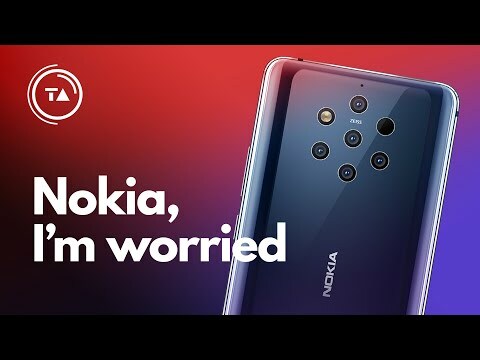 I think HMD Nokia is doing a great job pushing a tough market and forcing other makers to get better and add more features in order to compete. The needle is moving bc of this and that is a very positive thing that was not mentioned in the video. The selected blue's are a great color and different from every other boring black and white only options. Really looking forward to the 4.2 and it's pink color. How do you know that HMD specifically is forcing other makers to get better? The video is a nice one. And as always about his videos, hits the pain points directly. The problem of having too many models with a promised long support period is a problem in itself. Then the bugs are the next enemy. On that note, bugs and Android One do have a relation and that's where I disagree on the video. Android One might not be the good thing for the company after all. It's too restrictive in the days where OEMs are pushing in all sort of features. HMD isn't making a house for themselves. They are just making a better one for Google. Tomorrow when a Nokia buyer wants to switch out, it will be super easy because there's no Nokia ecosystem with any kind of apps. Just buy any other phone and it will be the same. Probably good for a consumer point (for those rare few fans of Android One) but not so for a company. It's an excellent summary of what we all think are the issues, we've all talked about them over and over again here. One might even suspect that he is even a regular forumite himself...! Come on, reveal yourself! . Definitely a good video though, something that need to be published in the open fairly high profile, I'm sure HMD will notice. Ohhh really a forumite ??? Well I think this year's sales margin wouldn't have impacted more until HMD lost the knot from FIH. Business from FIH is more concerned. Now let's see what HMD is cooking for upcoming Nokia phones precisely I have more interest from where they are cooking it.